Have access to the latest insight info, current & upcoming technologies and unique materials. Last but not least: are rewarded, praised and appreciated for their excellent presentation skills. Tim led the engineering team at Softricity before the company was aquired by Microsoft in July 2006 to be the fundament of Microsoft’s application virtualisation strategy (today known as Microsoft App-V) used by millions of users globally. 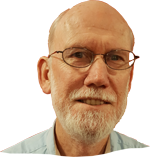 Since that time Tim provides his training classes, blogs and is a popular speaker on Briforum, Synergy, AppManagEvent and various industry events. With 15+ years of MS MVP status, multiple Citrix CTP awards and author of several industry books, Tim is the absolute authority when it comes to instructing App-V technology. Let the Master teach you all the tricks up his sleeves. Sami has been troubleshooting and teaching the art of OS troubleshooting, management and security to others for 15+ years. Sami’s troubleshooting sessions have been awarded “Best in Show” in multiple worldwide conferences including Microsoft Ignite and AppManagEvent. He not only knows his stuff but can teach it in an effective and entertaining way. Johan Arwidmark is a chief technical architect and all-around geek specializing in Systems Management and Enterprise Windows Deployment Solutions. 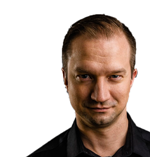 Johan is 50% author of the legendary “Deployment Fundamentals” bookseries and speaks at several global conferences including MMS, AppManagEvent and TechEd/Ignite events. He is actively involved in deployment communities like deploymentresearch.com and has been awarded MVP for more than ten years. With a primary focus on the System Center Configuration Manager and Enterprise Mobility, Peter has been awarded six times as a Microsoft Enterprise Mobility MVP (Configuration Manager/Microsoft Intune/Enterprise Mobility Suite). 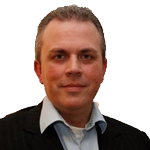 Peter is author of Mastering System Center 2012/R2 Configuration Manager, Mastering System Center Configuration Manager and Microsoft Enterprise Mobility Suite: Planning and Implementation. 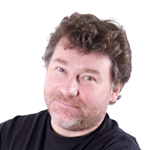 Peter speaks at local and international conferences including Microsoft Ignite, global TechEds/Techdays, IT/Dev Connections, MMS, BriForum, AppManagEvent and ExpertsLive. Mikael Nyström is a Microsoft MVP and Principal Technical Architect. He has in depth knowledge of products such as Microsoft System Center, Windows and Windows Server. 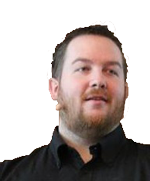 Mikael is the other 50% author of the legendary “Deployment Fundamentals” bookseries and speaks at major conferences including TechEd, Ignite, AppManagEvent, MMS and TechDays. As global recognized Configuration Manager MVP, Microsoft Certified Trainer and senior consultant, Kent has been working with SMS since 1997 and as a trainer/consultant since 1992. In 2009 he was the co-founder of System Center User Group Denmark. Kent is a certified MCITP: Enterprise Administrator, MCSA+ Messaging, MCT and Technology Specialist in Configuration Manager, MDOP and Windows Server. Kent speaks at several conferences around the world including MMS, AppManagEvent and TechEd/Ignite events and is (co)-author of several industry leading technology books on ConfigManager.